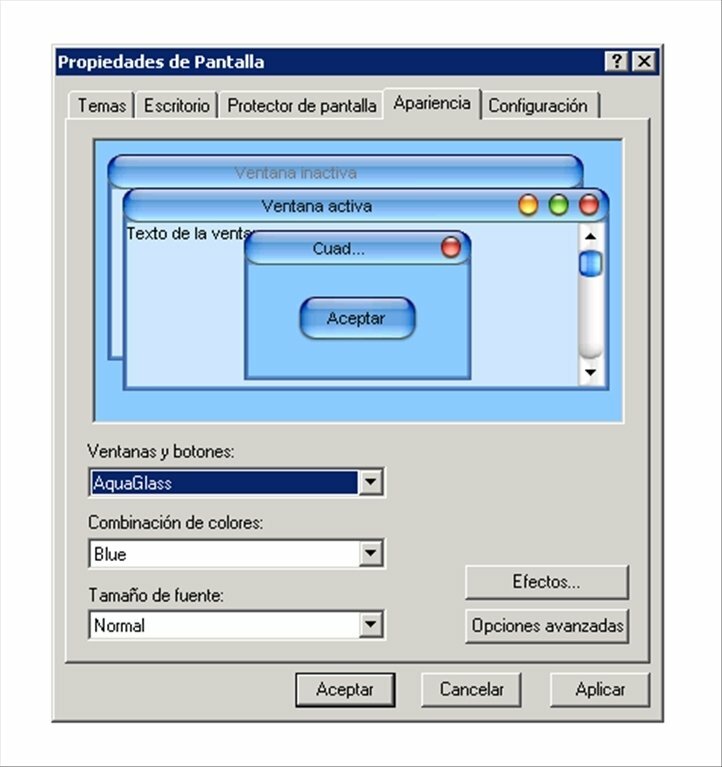 Improve the aspect of your operating system with Aqua Glass 30 XP. It is a visual style for Windows XP that will come in very handy if you still haven't upgraded your operating system to a newer version. It will make your computer look more modern. Aqua Glass 30 XP is a visual style inspired on the Aqua template that is integrated into the Mac OS operating system. 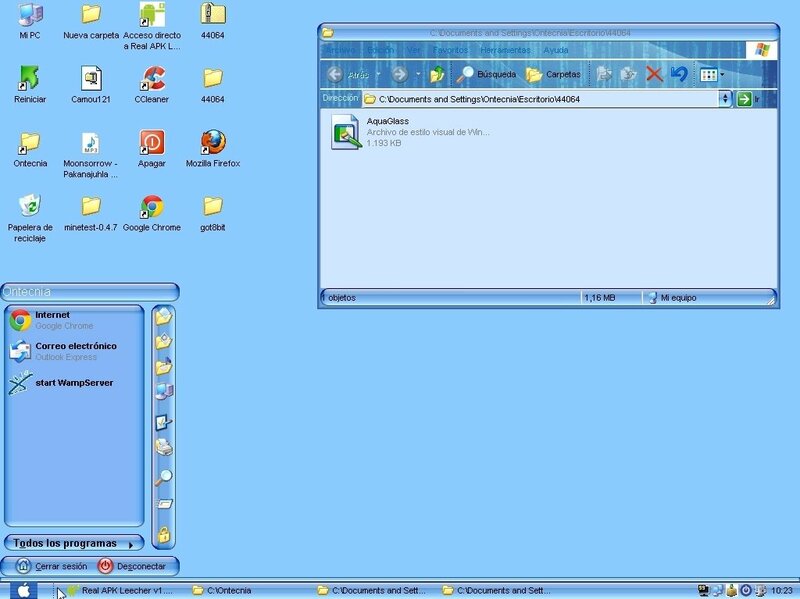 You will be able to make your Windows XP interface look like any operating system developed by Apple. Visual style for Windows XP with blue tones and glass effects. Easy to install and without requiring any prior settings. Modifies toolbars and windows. Doesn't change icons or wallpapers. Make the aspect of your Windows XP much more modern with a touch of design inherent to Mac computers. Download Aqua Glass 30 XP right now free of charge and find out how easy it is to make your personal computer look a few years younger. Only compatible with Windows XP.